Alejandro Montalvo signature Jitsie Varial Race Frame Kit! 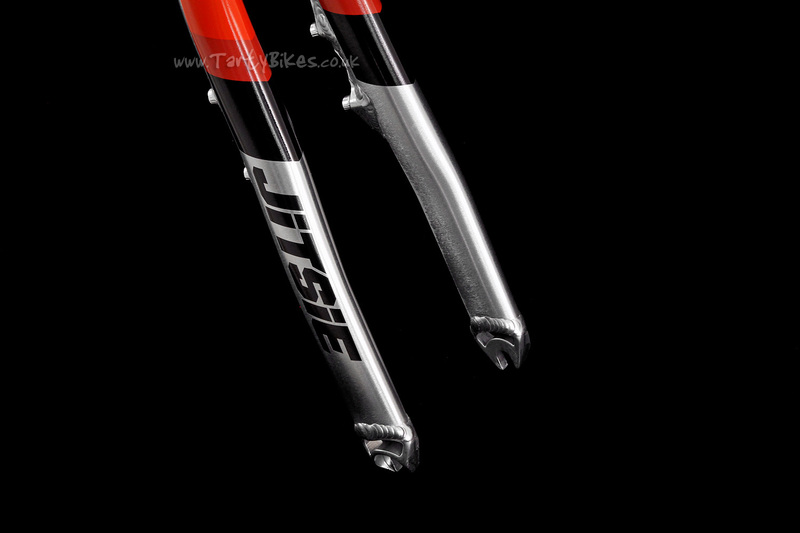 Supplied as a frame, fork and headset. 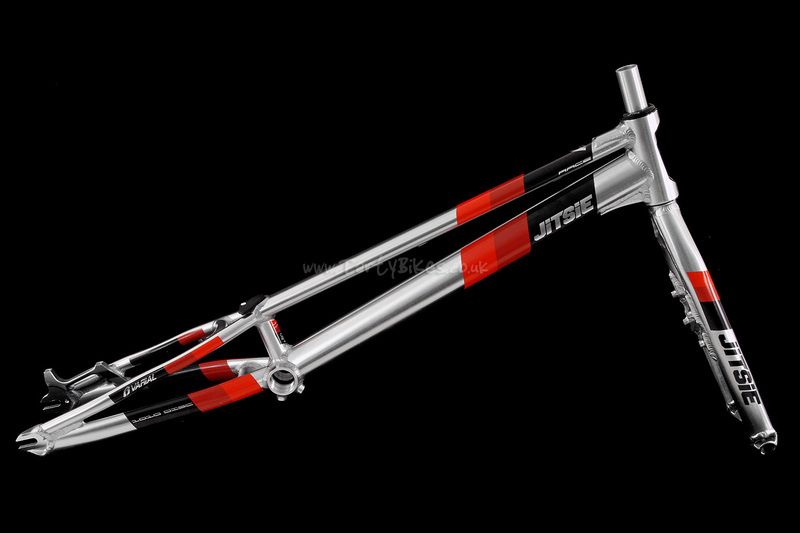 - New from popular brand Jitsie, the Varial Race 20" 1010 Frame Kit, developed with Alejandro Montalvo! - Ridden in top level international competitions by Alejandro, and by his Jitsie team mates including our very own Adam Morewood! 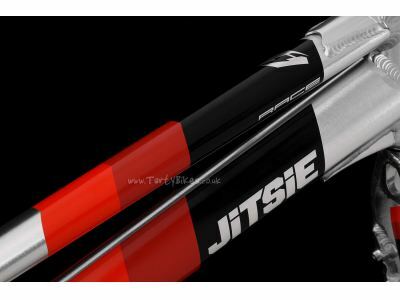 - Constructed from 6061-T6 aluminium to give a great blend of strength and low weight. 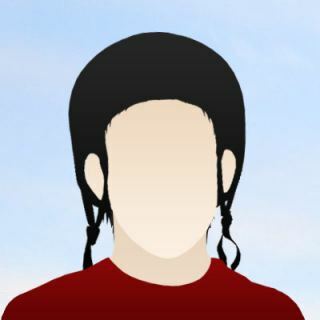 - Minimalist design looks great and helps keep weight down. 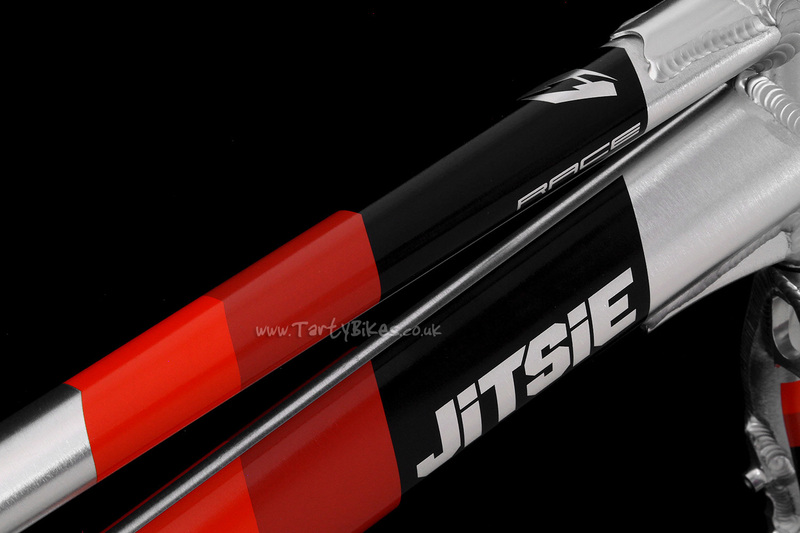 - Gussets on the top and down tube help reinforce the crucial head tube join, ensuring good stiffness and durability. 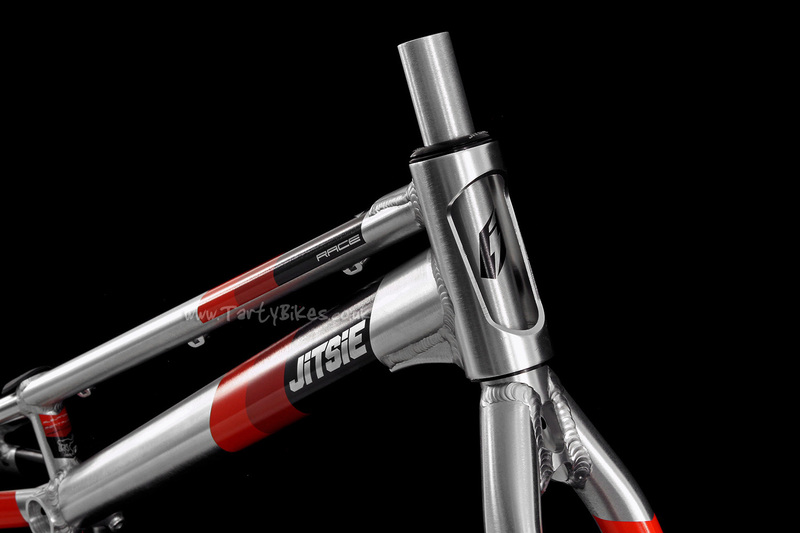 - 120mm long externally machined head tube requires an Internal headset. 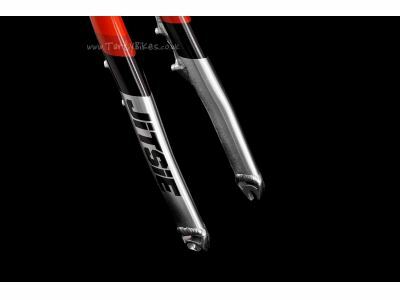 - Down tube profile changes along it's length, allowing the greatest possible weld contact at both the head tube and BB shell. - 4-bolt bashplate design (compatible with Jitsie Mini Bashplate, as well as the Bonz HYD Pro Light Bashplate and the Clean Light Bashplate) attaches directly to the 68mm wide BB shell, meaning no stress riser on the down tube caused by the forward mounting bolt for a traditional 3-bolt bashplate. 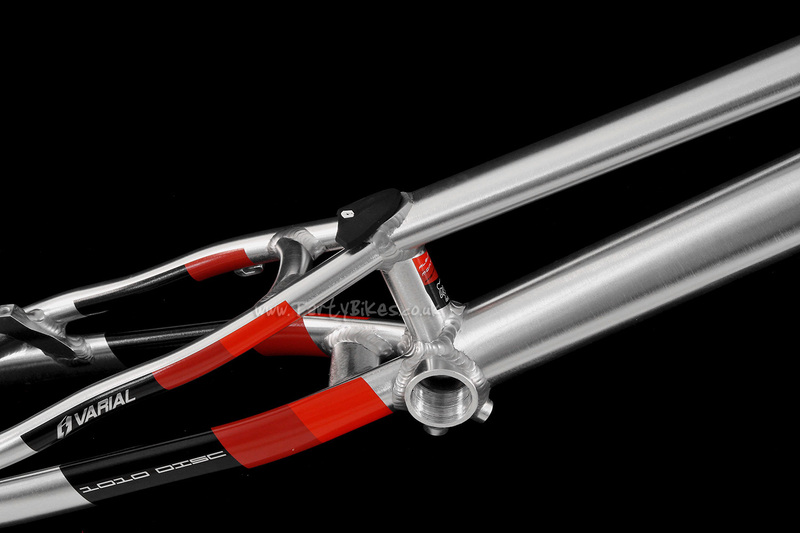 - CNC-machined dropouts are spaced at 116mm, suitable for use with snail cams (snail cam bolts provided with the frame). - Tough anodised black finish looks great, especially when teamed up with striking Jitsie Varial water transfer graphics. - CNC-machined post mount disc brake mount is heavily reinforced to stand up to the stresses and strains of trials use. 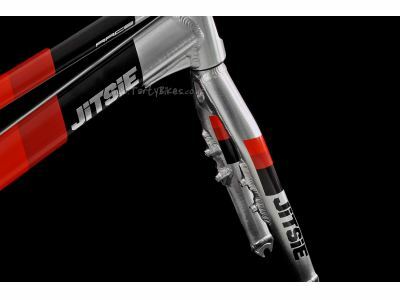 - Supplied with Jitsie branded silicone seat tube bung to cover up the seat tube hole (allowing the use of the Jitsie seat and post). 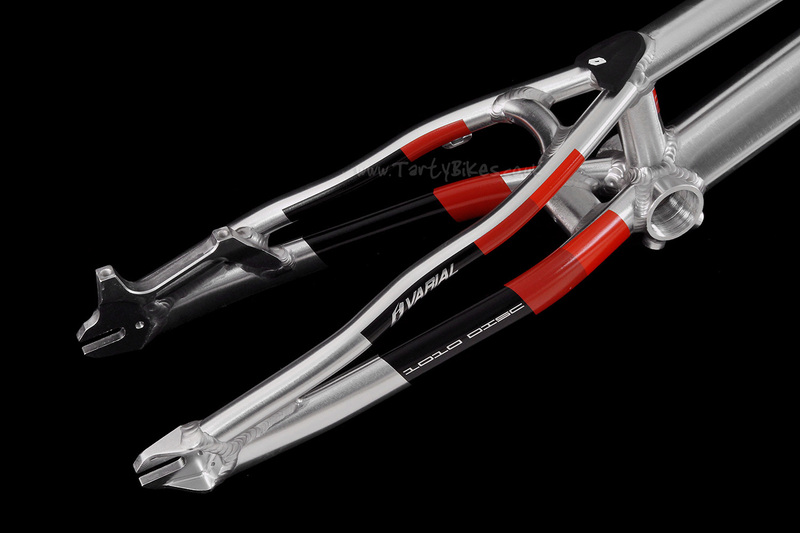 - The frame is also supplied with matching Varial Race Forks, in 4-Bolt Only braking option. 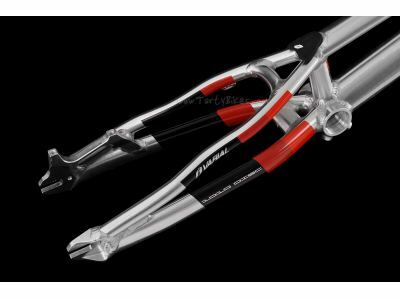 - The Varial Race forks are made from 7005 T6 aluminium. 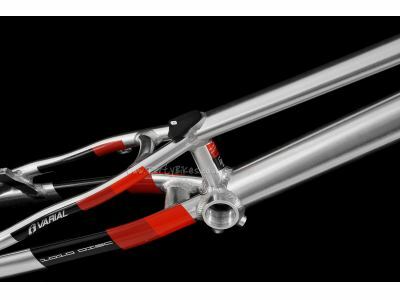 - Custom CNC machined dropouts have a larger top section to provide more weld contact area for the fork leg, improving strength. 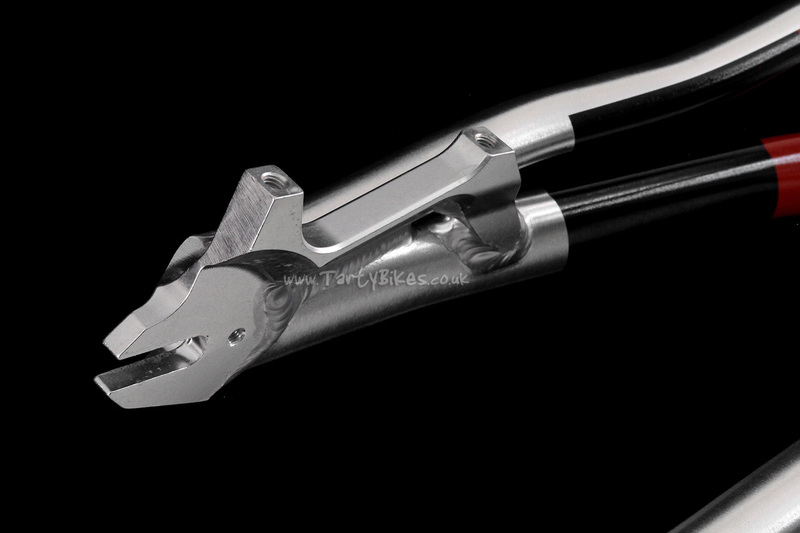 - 10mm dropout slots are suitable for use with almost all trials hubs. 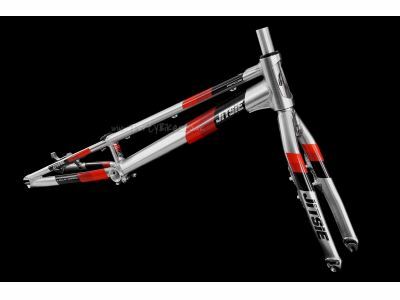 - One piece 195mm long steerer tube with 4mm upper wall which becomes substantially thicker nearer the crown area overcomes problems seen on pressed and welded steerers (requires Large TartyBikes Star Nut). 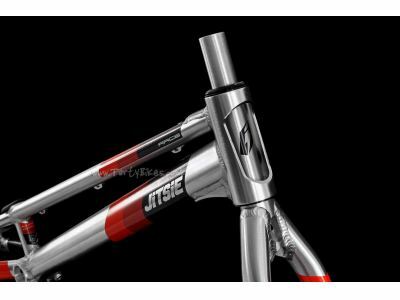 - 4 bolt mounts on the rear of the fork, spaced at 85mm, feature a weld line that runs from the top of the mount up to the crown, removing the stress riser associated with the top of 4-bolt mount welds. 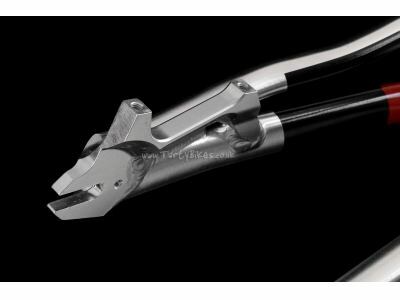 - Ovalised tubing used for the fork blades provides an excellent strength to weight ratio (also giving a larger contact/weld area at the crown). 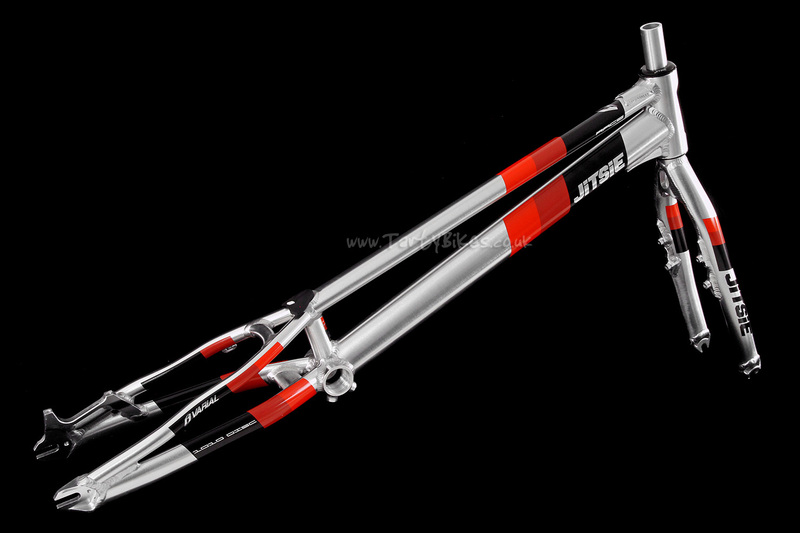 - The kit is completed with the Jitsie Internal Headset. 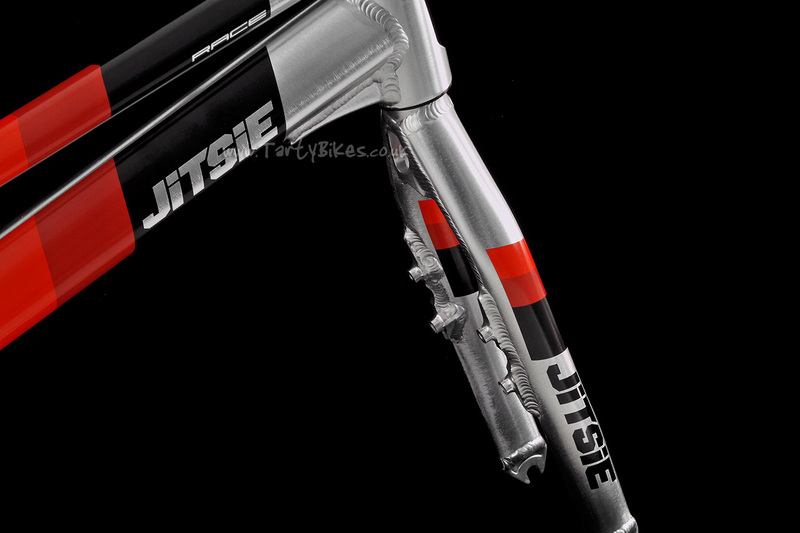 - Lightweight sealed internal headset from Belgian brand Jitsie. - Aluminium cups and races keep weight to a minimum. - Sealed bearings provide silky smooth operation in all types of weather conditions. 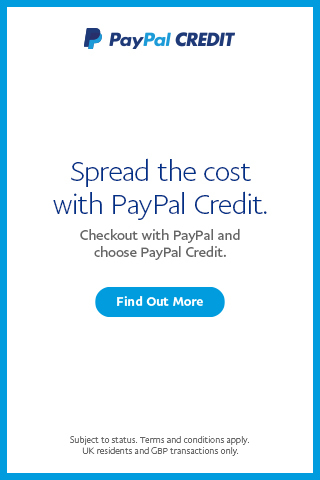 - Split crown race for easy installation and removal. - Anodised black cups and dust cover are complimented by laser etched Jitsie logos. - Supplied without top cap. 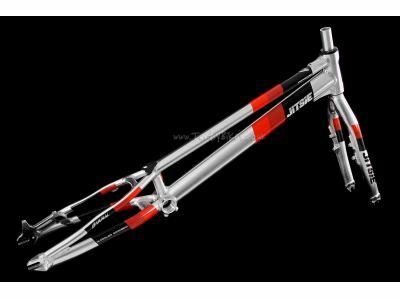 This frame comes with a 6 month warranty covering manufacturing and materials defects. Damage incurred from collisions and impacts with obstacles may have a negative effect on the outcome of any warranty claim.